Dividend Income orientated Blog. 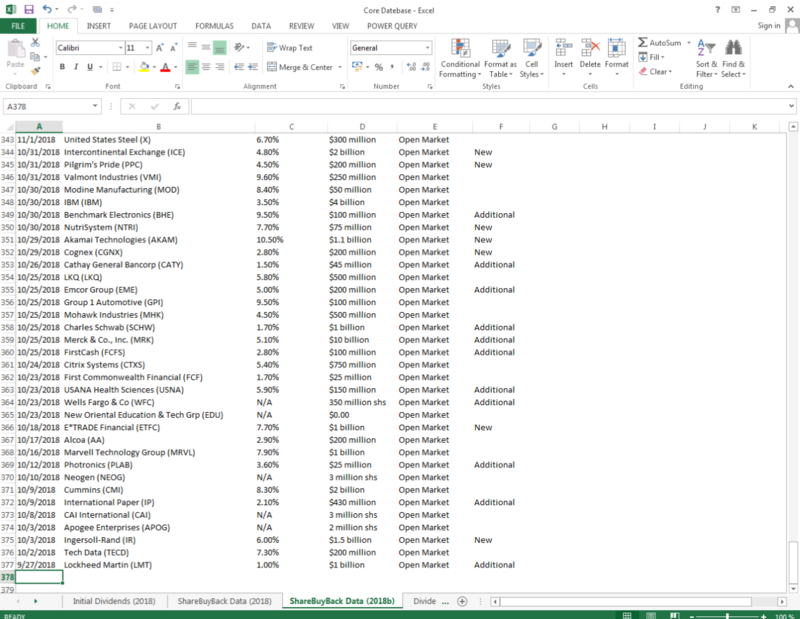 Ideas and Thoughts about Stocks, Dividends and Growth Opportunities. Dear Reader, find below a list of Dividend Challengers With A Dividend Payout Ratio Under 20%. Those stocks have a big potential to hike dividends at a faster rate if they don't need to spend money for their business. First Savings Financial Group, Inc. Creating such high-quality content is hard work and takes a lot of time. You might have noticed that we don't display ads or get paid for our posts. We deliver this information to you for free. To keep this blog running free without ads, we need your help. For a small donation by using this link or clicking the paypal donation button below, you can help us to keep this blog alive. 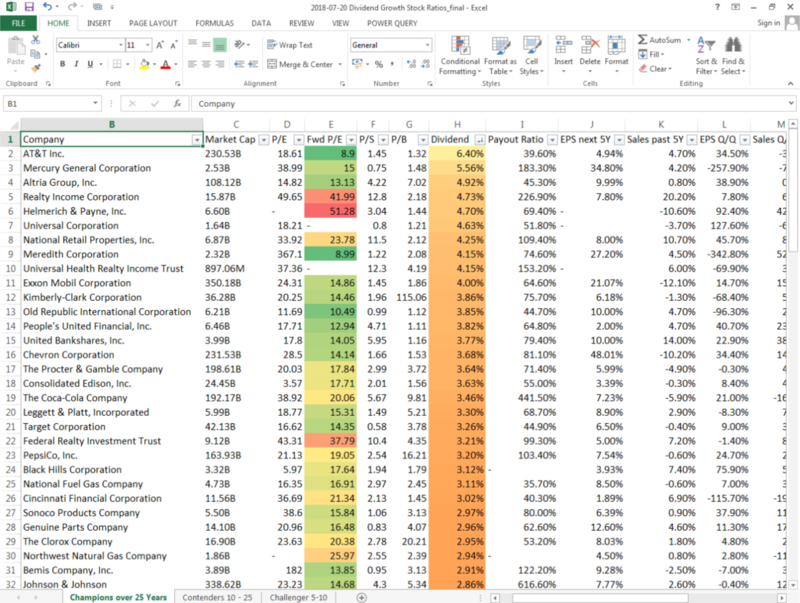 As gift for your support, we send you our full Dividend Growth Stock Factbook Collection with over 800+ long-term dividend growth stocks in PDF and Excel. You can also join our distribution list to receive these tools every month. Get our Database now for a small donation. This helps us to keep this blog working. Thank you so much for supporting us! 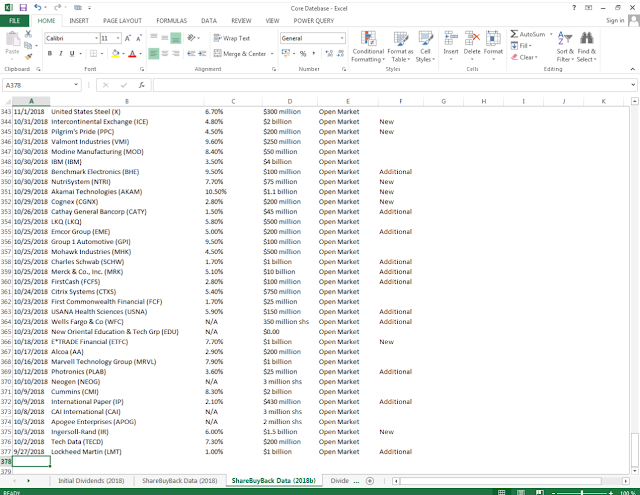 If you donate now, you will also get a fresh updated copy of our dividend growth database. The Excel File contains all dividend growth stocks and major buyback stock announcements since 2004. Finally, you will get every month a fresh update of our Foreign Yield Factbook. 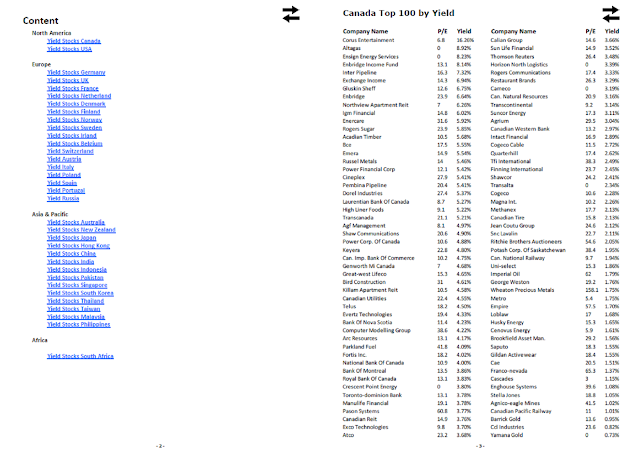 The PDF sorts dividend stocks from the most important economies in the world by yield. - Over 60 Pages! Support us now with a small donation and get all of these PDF's and Excel Files every month! Do you have any questions or notes to this article? Please let me know your thoughts and we will discuss it. 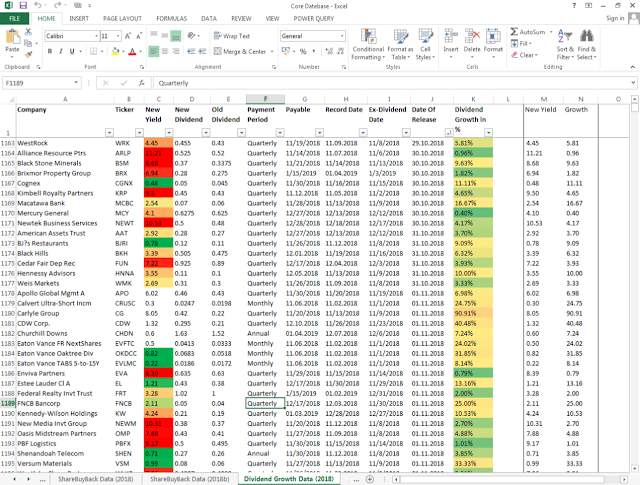 Subscribe by mail and get our latest dividend lists for free! For our Database, please give us a donation. Thank you! What is a Stock? Stocks (also called stock or share) are part of the capital stock of a company. It represents the original equity paid into the company. The capital stock could be traded at well-known stock markets like the New York Stock Exchange (NYSE) or NASDAQ. Every stock or share represents a partition ownership to the company. A stock owner has the ability to receive dividends and has a voting right for the annual general meeting (AGM). The stock owner participates on the business opportunities and risks. There are two main stock types available: common stock and preferred stock. A common stock gives the shareowner the ability to vote at the annual general meeting and to receive dividends. A preferred stock has no voting right but for compensation, a higher claim for earnings and assets. What is a dividend? A dividend is a payment by the company to its shareholders. Normally, a stock pays 4 times a year a quarter dividend in order to participate investors at the company’s success. The amount of dividends in relation to the earnings of a company is called payout ratio. The figure measures the part of the earned money which is paid to the shareholders. A payout ratio of up to 50 percent (half of it's earnings) is a good figure. Sometimes it could be possible that companies can pay 90 percent of its net income due to its business model. Those businesses don’t need much money for growing. The dividend amount in relation to the price that an investor pays is called the dividend yield. The value measures the return of the investor. A dividend yield of 5 percent (High-Yield) means that the investor receives 5 percent of his investment in cash - pretax within a year. This value is estimated for the full year dividends. Most of the highest yielding dividend stocks have only a big quarter dividend of more than one percent because of it's unsustainable dividends. The capital market expects a dividend dividend cut by the company. An important date for investors is the ex-dividend date. This is the day on which the new investor doesn’t receive any dividend payments. He must wait 3 month for the next quarter dividend. Material presented here is for informational purposes only. We can, despite the greatest care in the information gathering and preparation not guarantee, that all information are completely and correct. I am not committed to update some information on this website. We are no licensed investment advisor. Please consult with an investment professional before you invest your money. This site is for educational use only - any opinion here should not be treated as an investment advice. We do not recommend any stocks to buy or sell. We are not liable for any gains or losses suffered by any party. Past performance is not a guarantee of future performance. The articles and texts are no solicitation to buy or sell any security. Specifically, we point to the securities business in the existing risks. Equity investments include the risk of enormous losses, including a total loss can not be excluded. Any liability for this blog and all of the above-mentioned webpage information / data is therefore excluded.